The past three as well as the ongoing devaluation of the Egyptian Pound led to a weak overall economic development and resulted in a consumption decline in Egypt. Hence, SEKEM faced challenging times in 2016 and could not achieve all economic targets, like in the former post- revolution years. The majority of SEKEMs produced goods, 79 percent, were consistently sold in the local market. The initiative kept its strategic focus on financial recovery and debt relief in order to strengthen its resilience. Dealer networks, nationally and internationally, have been extended and new customers were acquired. In addition, SEKEM has begun to strengthen export activities, which helps to counteract the devaluation of the Egyptian Pound (EGP). However, SEKEM could achieve improvements in terms of its economical dimension. SEKEM increased the minimum basic salary to 1‘300 EGP and improved the ratio of the highest to the lowest annual full-time salary from 1:36 in 2015 to 1:31 in 2016, for instance. Furthermore, due to the positive operational performance, SEKEM was able to invest 10 percent of its annual profit into community development. SEKEM raised the sales value of certifiable products, which have a Demeter certificate (from 43 percent in 2015 to 53 percent in 2016) as well as of products with an Organic certificate (from 56 percent in 2015 to 73 percent in 2016). The challenge to successfully certify the remaining 27 percent of possible organic sales is mainly driven by product quality from SEKEMs suppliers that fight with an immense pesticide pollution via water and air that cause residuals. Another reason is the mandatory transition period for conventional farms that want to become organically certified from which we are committed to take the produce during these three years of transition. Otherwise SEKEM would not be able to convince farmers to enter in an organic production system that usually comes with an initial drop in productivity. Of course, SEKEM is 100% committed not to use any chemical fertilizer or pesticides for its natural raw materials and striving for a fully certified organic product portfolio over the coming years. Together with Heliopolis University’s Carbon Footprint Center SEKEM continued with assessing its product portfolio and increased its share of sales of products with known product carbon footprint from 56 to 80 percent. The carbon footprints of SEKEM products are based on categories, such as herbal teas, organic baby garments, organic textile dolls, herbs and spices, juices etc. What is not included yet are product categories such as animal products, seeds etc. Furthermore, all product for ATOS Pharma, natural medicines and healthcare products are not applicable for carbon footprint calculation. SEKEM and its subsidiaries were able to grow despite the challenges given in the environment, and achieved a consolidated growth of 29% in total sales, reaching EGP 375.7 million. The gross profit grew by 25%, reaching EGP 168.8 million. 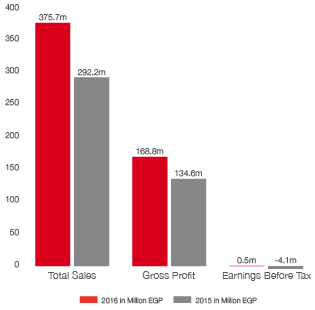 The devaluation of the Egyptian Pound in November 2016 has had a tremendous impact on SEKEMs consolidated earnings before tax and reduced them accordingly, to EGP 0.5m. The share of products exported increased in 2016 to 30% versus 21% in 2015, reaching total consolidated export sales of EGP 87.44 million. ISIS Organic could hold its position as one of the largest Organic food companies in the Middle East in 2016. The company supplies more than 60,000 customers in 16 different countries and counts more than 500 employees. ISIS Organic introduced new products, such as bottled water and green tea, and generated out of them sales of 64 million EGP, which represents 83 percent of the value of all newly introduced SEKEM products sold in 2016. Hence, ISIS Organic was the main driver in boosting SEKEMs share of sales revenues from new products from 12 to 20 percent. Although the financial year 2016 was successful for ISIS Organic – 18% sales growth – the target couldn’t be reached due to Egypt’s economic situation. SEKEMs largest company extended in 2016 it’s export activities and invested in sales and marketing. Moreover, ISIS Organic decreased the number of customer complains by more than 40% and is therefore mainly contributing to the SEKEM Holding reducing the total number of customer complains by almost 30% in 2016 (136 complains in 2015 and 96 complains in 2016). 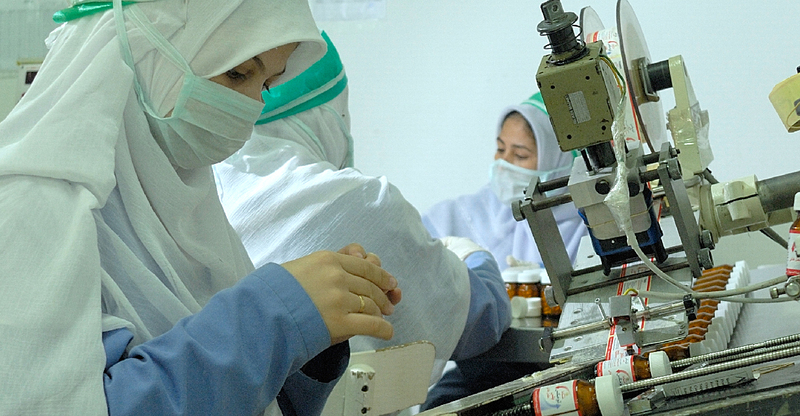 At the beginning of 2016, ATOS Pharma had been affected by the devaluation of the Egyptian pound as well, especially since most of its products are tied to state-regulated prices. 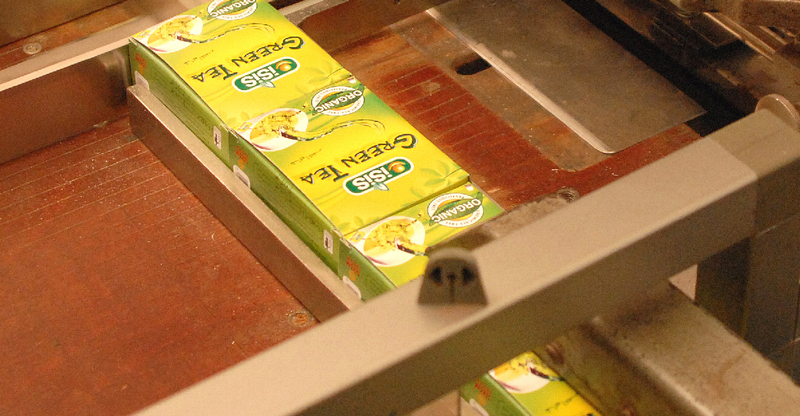 Nevertheless, SEKEMs company for phytopharmaceuticals was able to generate EGP 49 million sales and a growth of 26%. This is can be ascribed to investments in a more efficient production as well as expanding the sales team. The newly developed and distributed product BioDiagnostics© showed success on the market and contributed to ATOS Pharma’s revenue with EGP 1.46 million. 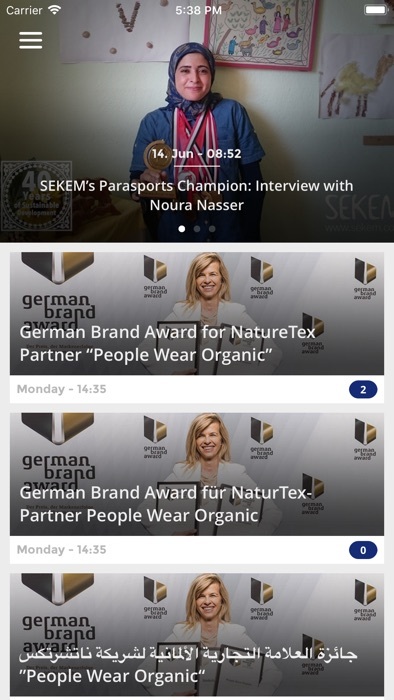 As NatureTex, SEKEMs company for Organic textiles, exports 85% of its product the company can be considered as winner of the Egyptian Pound devaluation. Hence, the company could even exceed its targets for 2016. Besides, NatureTex generated new international customers as well as on the local market and developed innovations like quilted blankets and ball yarn, for instance. 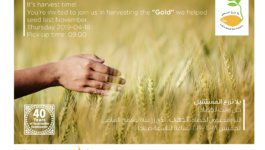 Hence, NatureTex raised EGP 4.6 million from new products. The company Lotus is processing herbs and spices and was able to grow in 2016, although the local sales were impacted negatively by its sister company ISIS Organic, which is supplying Lotus with raw materials. At the same time, the devaluation of the Egyptian pound had a positive impact on the export sales of the company which reached almost 60%. There continued to be a high demand for the new and currently popular products Chia, Quinoa and Jojoba. In 2016, Lotus improved its raw material quality as well as the production process that lead to a higher product purity. This was a major driver for SEKEM improving its ratio of total weight of waste per thousand EGP sales from 2.5 in 2015 to 1.4 in 2016. SEKEMs total amount of waste went up from 688 to 793 tons during the last year with a share of 66% and 69% of organic waste respectively. While SEKEM is recycling all its organic waste, only 42% of the non-organic waste was recycled, which represents a major challenge to be increased. Another huge challenge is the very low amount of recycled packaging material. Investigations showed that only Lotus uses some plastic, paper and carton as recycled input material. For all other companies the price and quality are main reasons to not use recycled packaging materials. Another huge problem of Egypt’s environment is waste management. According to the World Bank, Egypt generated 89.03 million tons of solid waste in 2012. Only 60% is managed by formal and informal waste operations. The rest is just thrown on streets or at illegal dumpsites. Compared with the rest of the country, SEKEM Farm is a very clean place with adequate garbage disposals all around. SEKEM constantly works on its waste management, also in 2016; The total weight of waste per thousand EGP Sales could be reduced from 1.6 to 1.5 kg/1000 EGP. Also in 2016, SEKEM Agriculture did not initiate new investments but managed to bear costs independently. There was no further land reclaimed but the already fertile soil was attentively cultivated. 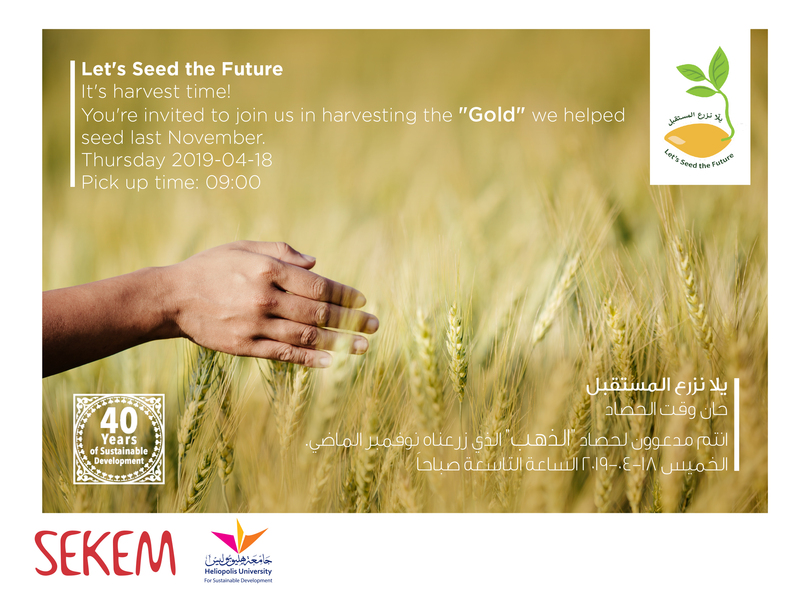 All in all, SEKEM Agriculture can look back to a good year 2016, with a growth of 38% compared to the previous year, which can be ascribed to fact that SEKEMs deserts farms (in Minya, Wahat El-Bahareya and Sinai) were able to generate initial yields out of the perennial crops such as dates or olives. 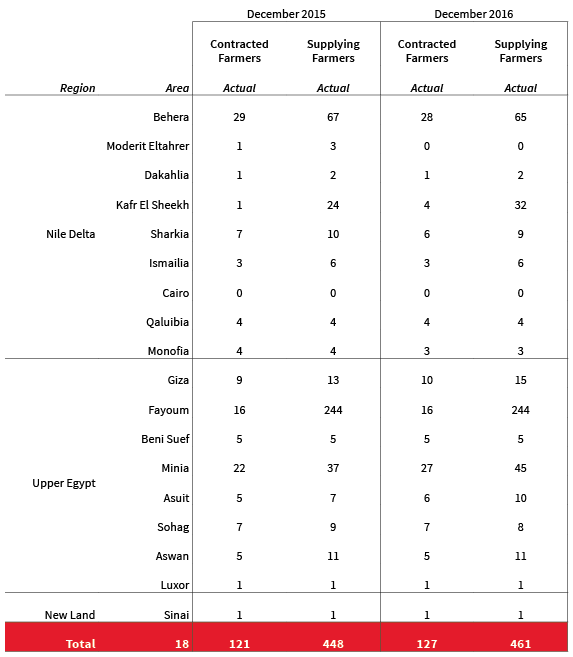 In the winter season 2015/16 and in the summer season 2016, there were in average 127 contracted suppliers, potentially comprising 461 farmers in 16 governorates and 74% of the suppliers were located in Upper Egypt. Also the number of producers per contracted supplier entity in Upper Egypt continued to be higher than in the Nile Delta. The table below shows that the number of contracted supplier entities below 10 feddan is relatively small (6%), whereas the number of suppliers between 25-50 feddan represents the most frequent size range (35%) – not to forget that below one contracted supplier a range of small scale farmers can be organized. Note: In Egypt, land holdings are fragmented. 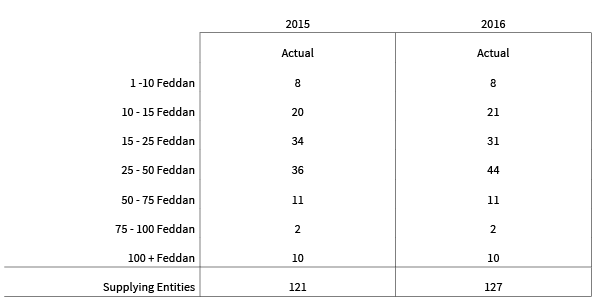 The overall average farm size is 2.05 feddan (0.86 ha). About 10% of farm households have more than 4 hectares (Eurostats 2013). SEKEM started to put a special focus on this cooperation in order to strengthen community building and networking between the farmers by additional meetings and trainings. This shall strengthen food security, another challenge that Egypt is confronted with. SEKEMs contracted farmers supplied SEKEM in 2016 with several crops, for instance herbs, spices, seeds, fruits, vegetables or dates. Inspired by the SEKEMs Impact Evaluation Study on its agricultural partners in 2015 conducted by the Centre for Development Innovation, Wageningen University and financed by Oikocredit, one of SEKEMs shareholders, SEKEM recognises the need for continuously evaluating its impact on its supplying farmers. While an economic impact via job creation and an income premium is evident, social and cultural impact is much more subtle and needs an extra investment into community development as elaborated further below under Cultural Life. 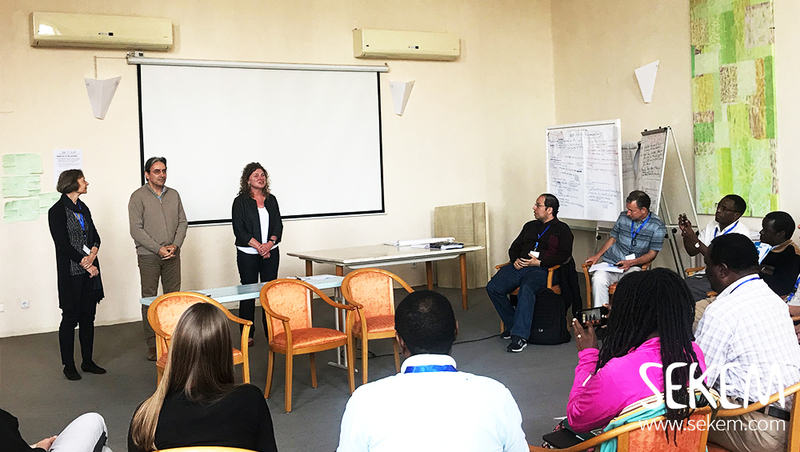 A challenge remains the collection and assessment of meaningful indicators that have been developed together with our partners from this projects and Heliopolis University. SEKEMs crops were also the pathfinder for SEKEM attending the “Biofach”, the leading fair for the Organic sector in Europe. Here, SEKEM could show a great performance together with some partner organizations, such as the Biodynamic certifier Demeter as well as with the Organic companies Davert or Lebensbaum. And it was Lebensbaum who awarded SEKEM as „Supplier of Excellence“. SEKEM and Lebensbaum are cooperating since more than 25 years. SEKEMs company Lotus provides Lebensbaum with biodynamical grown herbs and spices, especially camomile. The accolade shall underline and appreciate excellent performances. Furthermore the date-hazelnut confectionery of Davert and SEKEM has been selected by Demeter as one of the three best products of the year 2016. 16 producers of Biodynamic products had been nominated for election. The products were initially selected by a jury by considering various aspects of Biodynamic quality: Extraction of raw materials, processing, features such as Biodynamic varieties, animal welfare, social aspects, nutritional benefits and packaging. SEKEM even travelled to Japan to exhibit at the International Food and Beverage Fair Foodex. “Foodex is the perfect gateway to penetrate the Japanese and Far Eastern food market”, says SEKEM Export Manager, Sherif Mazar. “SEKEM successfully generated new leads from Japan, South Korea, Singapore and Iran and strengthened the company’s strong presence in the Japanese dried fruit market.” Among 12 leading Egyptian food companies, SEKEM took the chance to present the new Demeter-certified SEKEM brand. Besides keeping the daily business sustainable, SEKEM was active in promoting new ways in regards to its so-called “Economy of Love”. Hence, an Entrepreneurship Centre for Social Impact was founded at the Heliopolis University of Sustainable Development. The Social Entrepreneurship Center aims to be the engine for creating sustainable start-ups, which shall create growing financial profits and social impact in both local and global markets. It will provide sector-specific support to the next generation of entrepreneurs in order to receive the needed capabilities, which help them to compete and grow in today’s world. Entrepreneurship in the age of the agenda 2030 for Sustainable Development has also been discussed in Berlin at an international debate. Among different representatives from politics to economy, SEKEM shared thoughts on challenges, possibilities and limits of non-governmental actors, such as the economy, science and civil society, in the course of the 17 Sustainability Goals of the United Nations (UN). 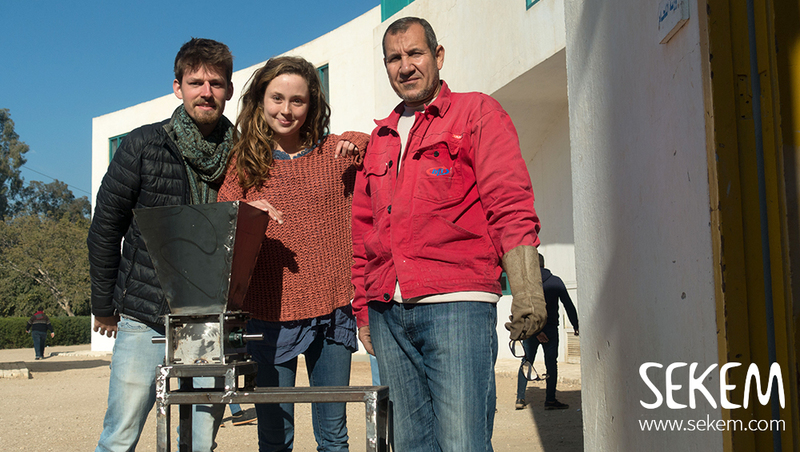 In line of rethinking and going new ways, SEKEM started its first crowdfunding campaign in the end of 2015. Within 30 days, raised more than 23,000 USD and thereby 117% of its crowdfunding target. With the funds, the SEKEM Environmental Science Center (SESC) as part of the SEKEM School is able to establish an alternative education lab to experiment with innovative curricula serving holistic education. SEKEM appreciates the SEKEM Friends and supporters who value SEKEMs holistic approach and helped to achieve this success. SEKEMs network of shareholders remained strong also in 2016. Together with its partners the SEKEM Initiative continued building up further resilience and strengthened a constant sustainable business practice.